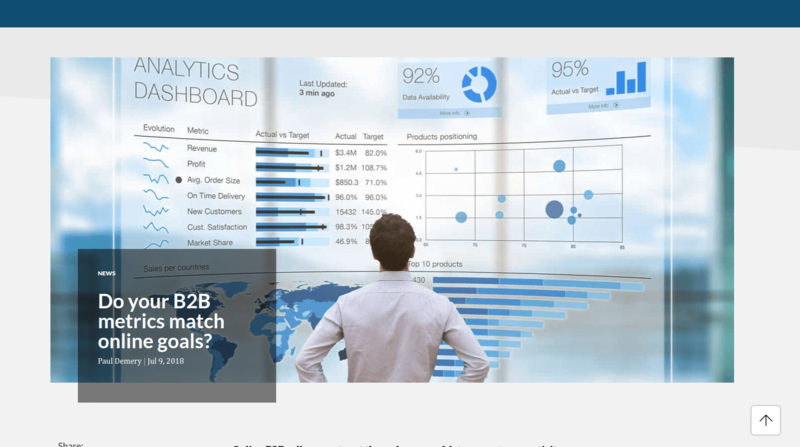 Do your B2B metrics match online goals? 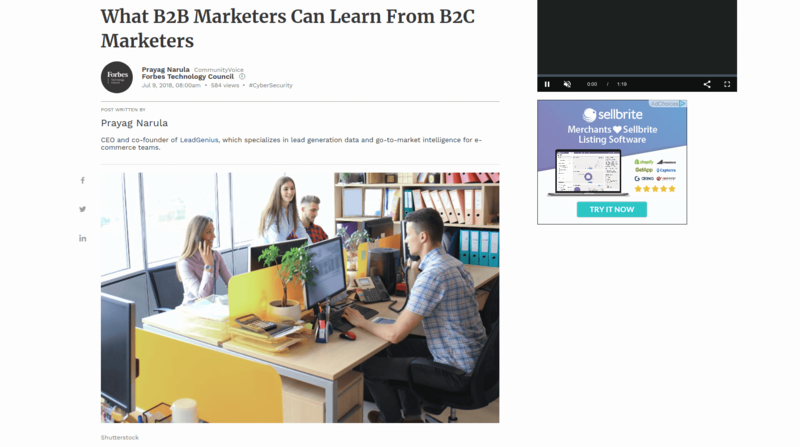 While business-to-consumer (B2C) marketing has embraced the power of data, business-to-business (B2B) marketing has been surprisingly slow to catch on. 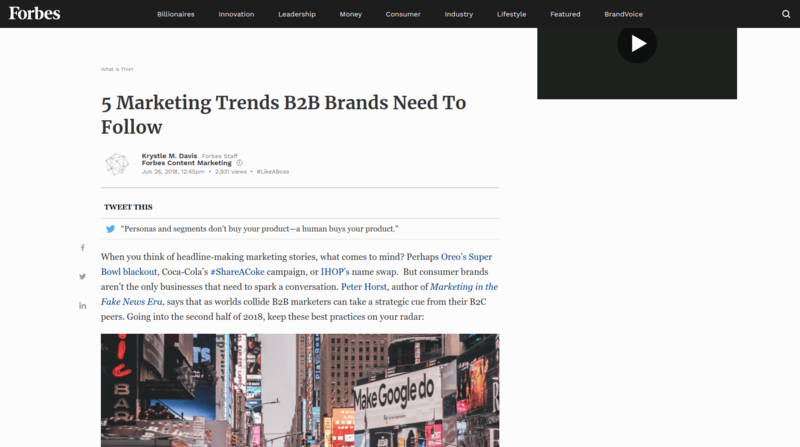 In this article Prayag Narula denotes that companies that want to compete in the B2B marketplace need to be as sophisticated as their B2C cousins by using data to accurately target and market to potential customers. While marketing has without a doubt gone digital, we are simultaneously seeing a revival in human-centric thinking — a shift toward catering to individuals with deeper empathy and care, though now at scale. In the era of big data, artificial intelligence and rapid innovation, change is the only constant. Joyce Solano shares a few ideas on the way B2B companies must fundamentally rethink the way they do business. 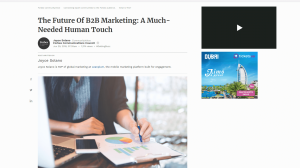 Peter Horst, author of Marketing in the Fake News Era, says that as worlds collide B2B marketers can take a strategic cue from their B2C peers. Based on this, Krystle M. Davis proposes the best strategies to keep on radar when going into the second half of 2018. The business to business (B2B) customer journey is far from linear and straightforward. On occasions, it can get really messy. 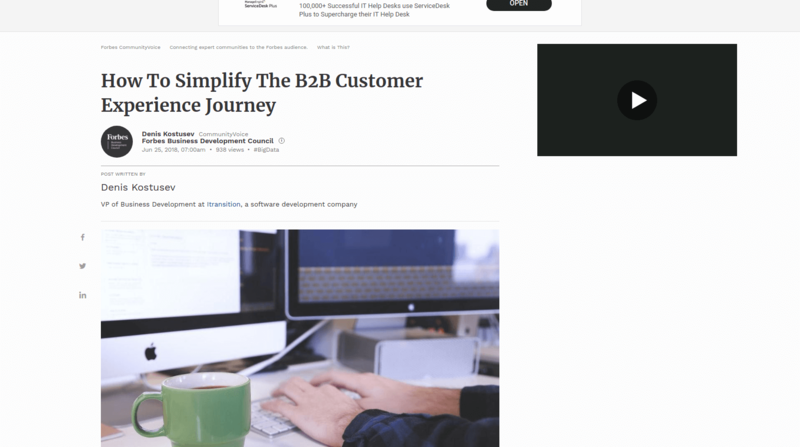 Simplifying the B2B customer experience helps achieve higher levels of satisfaction and client retention. In this article Denis Kostusev from Itransition identifies the effective strategies in terms of creating a simplified, streamlined and satisfying B2B customer experience. 5. Do your B2B metrics match online goals? Online B2B sellers must sort through reams of data on customer activity across multiple selling channels to see how well they’re reaching goals like driving sales and cutting costs. In this article Paul Demery presents the tips offered by Forrester Research on how to do that. 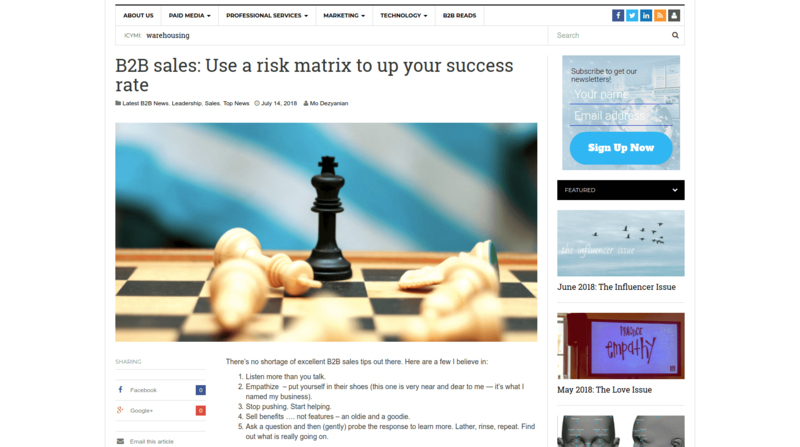 There’s no shortage of excellent B2B sales tips out there. But there’s a way of looking on the sales process in another way. Mo Dezyanian provides some tips he believes in as well as illustrates with a story, loosely based on a recent successful sales experience. 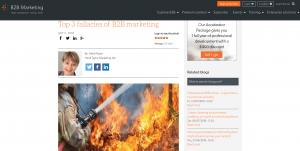 There are three fallacies that are continuing to dominate B2B marketing thinking. They are hindering the ability of B2B marketers to create and execute marketing that matters to their customers and their businesses. 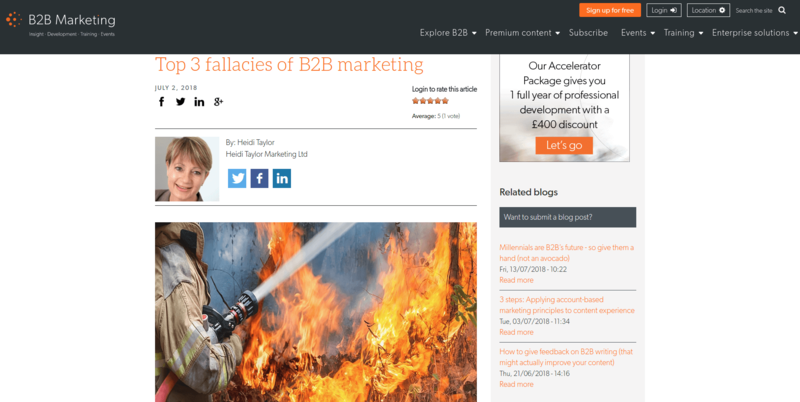 In this article Heidi Taylor uncovers the top three fallacies that have dominated conversations and are hindering good marketing. That’s all for now. Do you have any interesting B2B news you would like to share? Leave the comments in the section below.